CLEARFIELD – Clearfield County District Attorney, William A. Shaw, Jr., announced the capture of a wanted fugitive. Shaw identified the fugitive as Iris Suzette Mack, age 30, of DuBois Street, DuBois. 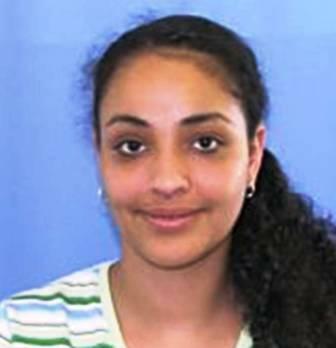 Mack was added to the Clearfield County Fugitive of the Week list on April 19, 2010. Shaw stated that on May 19, 2010, Mack voluntarily surrender herself to Deputies from the Clearfield County Sheriff’s Office after remaining on the Fugitive of the Week list for five weeks. Mack was placed on the Fugitive of the Week List after failing to appear for Arraignment Court on May 7, 2009. Mack is charged with theft by unlawful taking and criminal conspiracy. An affidavit of probable cause filed by Trooper William Mostyn of the Pennsylvania State police, Woodland Barracks, states that Mack and others entered the Kohute Laundry, located in Houtzdale, and forced open coin operated dryers. Mack was charged for stealing money from the machines, as well as for damage done to the machines. Mack is currently housed in the Clearfield County Jail awaiting formal Arraignment. Shaw stated that Mack’s trial will be scheduled to commence within 180 days. Anyone with knowledge of a Fugitive’s location is asked to call Clearfield County Crimestoppers at 800-376-4700. All calls to Crimestoppers are confidential. Anonymous tips can also be submitted by visiting the Clearfield County District Attorney web site at “www.ClearfieldDA.org” and selecting “Report A Crime”.